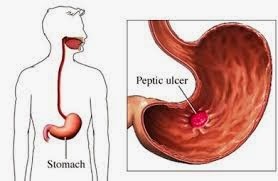 Here are some of the things that do contribute to stomach ulcer, read the below list carefully to have deep knowledge of what you seek to know. there are still other things that may cause this sickness but the ones on this list are the major ones. Hunger: if you are the type that do eat only ones in a day, then its time you start eating your complete your daily square meal. Been over hungered can make this even worse, than you can expect.